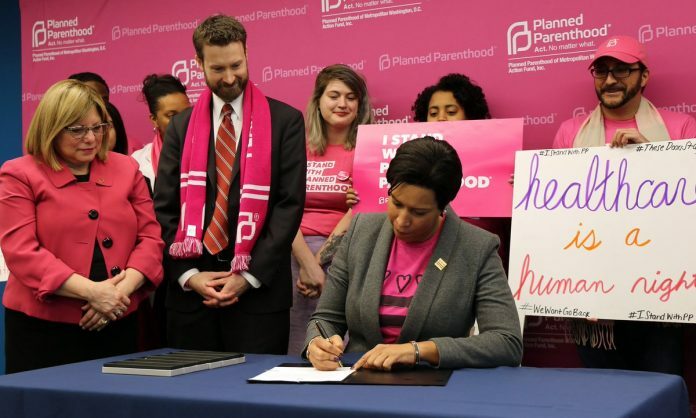 At Wednesday’s signing of the Defending Access to Women’s Health Care Services Amendment Act of 2018, Mayor Bowser announced that open enrollment for District residents has been extended through Monday, Feb. 5 at 11:59 pm. 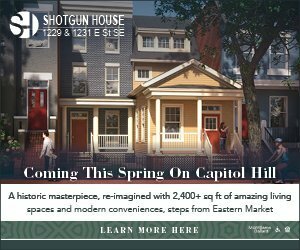 Residents now have five extra days to go to DCHealthLink.com to shop for, compare, and enroll in affordable, high-quality insurance plans. Councilmember Charles Allen (Ward 6-D) wrote and introduced the women’s health care bill in February 3017. It then moved through the Committee on Health, chaired by Councilmember Vince Gray. Advocates from NARAL, Planned Parenthood of Metropolitan-Washington and Planned Parenthood as well as the American College of Obstetricians and Gynecologists were critical in passing the bill. The permanent version of that bill enshrines into District law benefits that must be included in health plans sold in the District of Columbia without cost-sharing. These services include contraception, screening for breast and cervical cancer, HPV testing, screening and counseling for sexually-transmitted infections, well-woman preventive visits, folic acid supplements, screening for gestational diabetes, and breast-feeding support and supplies. The permanent version of the bill also expands access to some common forms of birth control, allowing pharmacists to be trained to prescribe directly to patients instead of forcing women to visit their doctor for a prescription before going to their local pharmacy. The extended open enrolment period allows all District residents additional days to get coverage. Visit DCHealthLink.com or call 855-532-LINK to enroll.